Woolen hats, long days of racing and hot chocolate on the water await: the 31st Optimist Team Cup (OTC) is only one week away. While volunteers at Potsdamer Yacht Club have been busy for several months making all the arrangements necessary for such a big event, the first international teams will arrive at the beginning of next week for their training sessions on Lake Wannsee. This year’s edition is special, as it is the first three-day Optimist Team Cup in the regatta’s history. One more day of racing means there will be more races for all teams, with additional gold and silver group racing in between the qualification round robin and the finals. As always, the OTC program aims to ensure the sailors’ comfort on the water as well as on shore. The regatta starts with a joint breakfast in the PYC club house for all competitors, coaches and team leaders on morning of Friday, 26th October, followed by the official opening ceremony at 9 am. Lunch will be supplied for the sailors on the first two days of racing and of course the „toilet raft“ will be welcoming all sailors in need for a little break. After racing on Friday, sailors and host families usually head out to the inner city of berlin for some sightseeing. 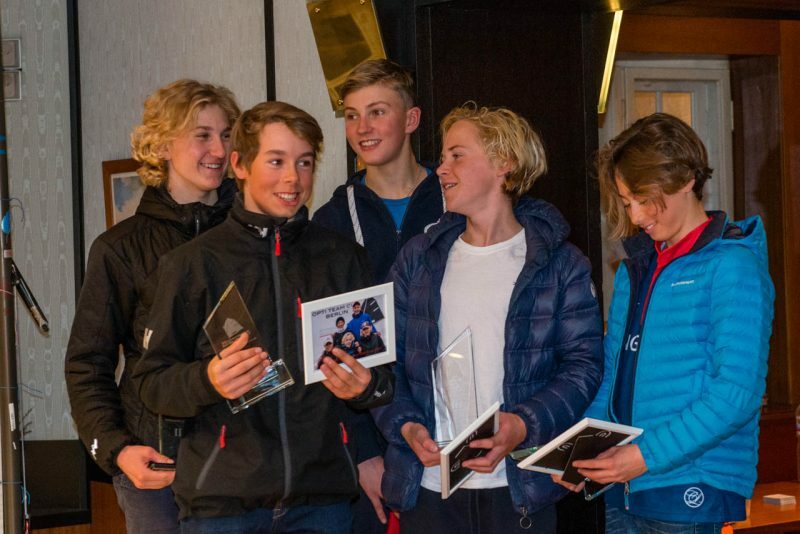 Saturday night, after a long day of qualification and gold and silver group racing, the sailors will be treated with Pizza, a raffle and music to wind down before the final day of racing. For the finals on Sunday scheduled at about 1 pm the spectator boat “Botter“ will be available for anyone interested in taking a closer look at the racing. In between racing and prize giving that day, the competitors will be able to pick up some sweets to keep them happy while packing up. The Team from Fort Lauderdale is hoping to defend its title for the third time in a row. However, there will be fierce competition. The Italian team features very strong sailors, including the two-time World champion Marco Gradoni, who managed to defend his title from 2017 at this years Worlds in Cyprus by a margin never reported at the Worlds before by winning 9 out of 11 races, and the defending European champion Alex Demurtas. 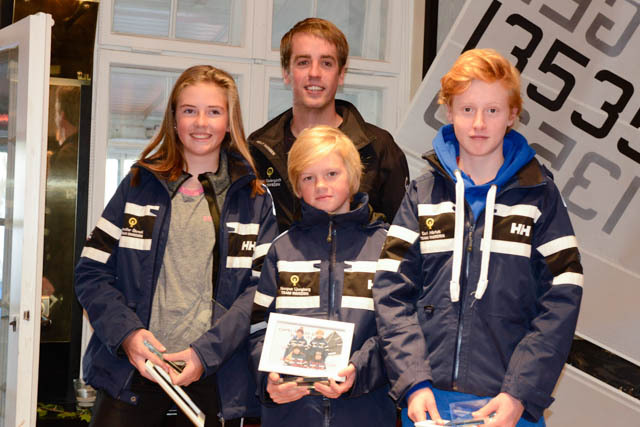 The nordic team from Denmark has proven its team racing skills in the skandinavian optimist teams racing league. Many others of the international teams from Ukraine, Norway, Denmark, Finland, Poland, Italy, Estonia und Sweden have sailors who have participated in World and European championships this year. The team of Potsdamer Yacht Club will represent Germany as Winner of the German opti teams racing series. At this stage, the forecast promises a strong breeze for Lake Wannsee next week and we will certainly see some intense sailing and exciting races. 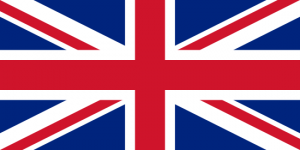 Two more teams, namely Italy and Great Britain have registered for the 2018 edition of the Optimist Team Cup. Since the number of participating teams is limited to 16, only 3 open slots remain. More information on registration can be found here. 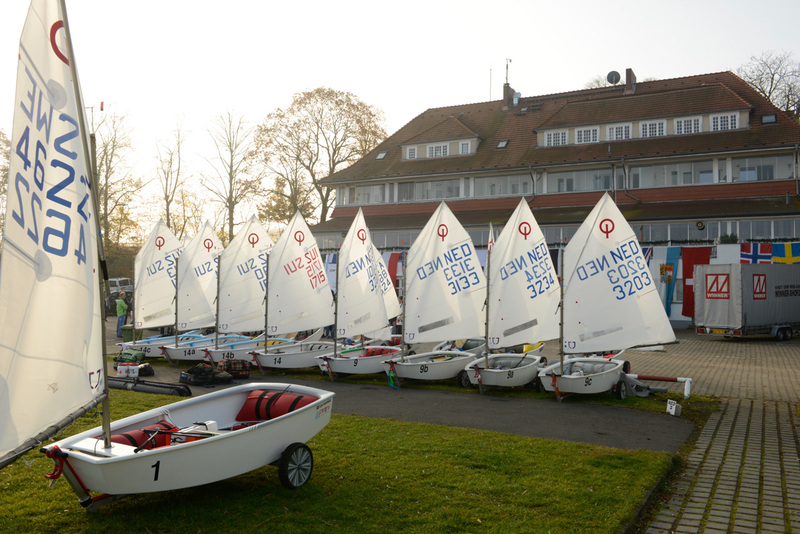 The 31st edition of the Optimist Team Cup hosted by Potsdamer Yacht Club will take place at Lake Wannsee, Berlin from October 25th (registration and team leader session) to October 28th (finals and price giving ceremony) 2018. The Notice of Race is now available. Further informations as far as available at the moment. 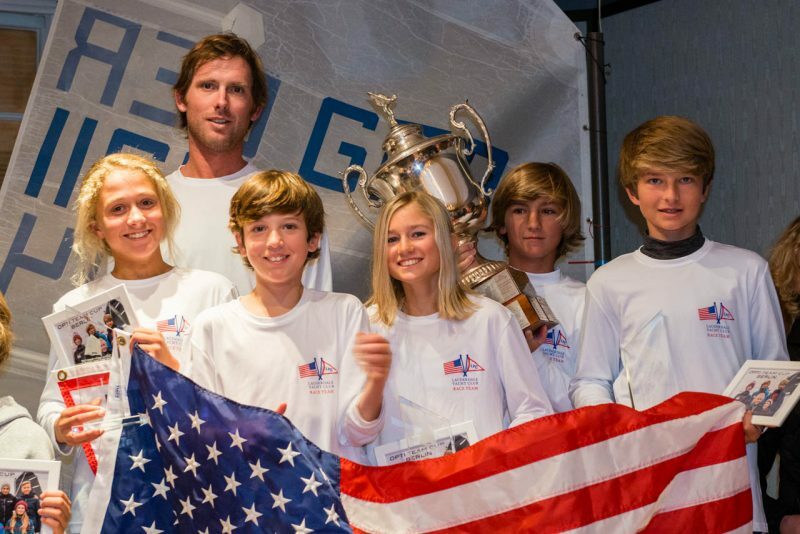 As in the last year team USA 1 from the Lauderdale Yacht Club with Stephan Baker, Connor Boland, Sara Schuman, Jack Redmond and Lauren Hamilton was on top of the podium at the price giving ceremony of the optimist team cup. Having dropped the first race to Sweden, last years runner-up, they managed to win all their subsequent races of the stage 1 and stage 2 part of the round robin executed on the first day of the championships. This put them in equal place with the team of Poland represented by Agnieszka Pawlowska, Jeremi Szczukowski, Szczepan Damasiewicz, Mateusz Gwozdz and Ludwik Grzelak. The teams of Sweden and the Netherlands were in a tie for third place having both won 8 races. Due to very heavy winds in the range of 6 to 8 beaufort on Sunday morning, the remaining 4 races of the round robin could not be sailed. So teams USA and Poland moved to the grand finals and teams Netherlands and Sweden to the small finals, respectively. These finals could be sailed in the early afternoon, when the wind dropped. 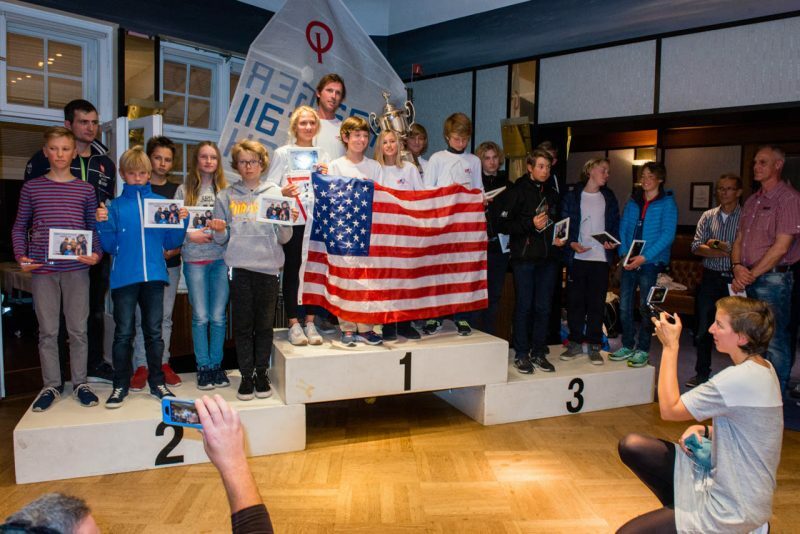 Whereas team USA managed to beat Team Poland in two straight races to claim the championship, teams Netherlands and Sweden battled tightly until the last boat crossed the finishing line. Team Sweden with Rasmus Granzin,Hugo Liljegren,Simon Granath,Albert Norlén and Alexander Baudin managed to win the last race of the best of three series to take third place, leaving forth place forTies Wijbinga, Olivier Jaquet, Jacobine Leemhuis and Adriaan Ouwerkerk of the Dutch team. Congratulations to the old and new champion Lauderdale Yacht Club and all placed teams. The program including the detailed schedule for the event and all further important information (e.g. sailing instructions) can be found under Race Documents. A document containing the special rules applying to team race sailing can also be found there. 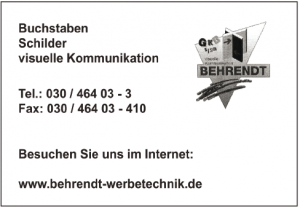 At this site you also find the disclaimer (german: Haftungsausschluss) as a pdf-file for download. Please fill in a separate disclaimer for every sailor of your team and hand it to us at the registration desk on Friday, October 27th. 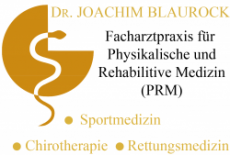 If you like, you can also e-mail the disclaimers in advance to stefan.weger@online.de. For those teams traveling by plane we provide a shuttle service from and to the airport. You have already given us your flight information and we will provide you with the mobile number of your individual contact person at the airport next week. Please call this contact when your plane has landed. The registration desk located in the upper floor of the PYC club house will be open on Friday, October 27th from about 2:00 p.m. to about 7:00 p.m. If your trip may be delayed and you can foresee that you will arrive later, please contact Stefan Weger by E-mail (stefanweger@online.de) or by mobil phone +491788443172. 1) Cash at the registration desk. There is a cash machine (Berliner Sparkasse) nearby in 5 min walking distance from the club. Please indicate Team Name (Nation) and OTC2017, entry fee or charter rib on the transaction. In case you assign the bank transfer only one or two days before Friday, please take the transfer voucher with you. The teamleaders meeting will take place on Friday, October 27th at 7:00 p.m. at the PYC club house. There we will provide you with the Sailing instruction and two individualized waterproof copies of the pairing list by team numbers as well as one by team names. So you only have to print them out on yourself if you want extra copies. A whole goose with a great variety of side dishes (such as dumpling and red cabbage) for 4 to 6 persons for a prize of 115,00 €. If you like to make use of this specialized arrangements for eating, please contact our restaurateur directly at gastronomie@pyc.de or +493021957701 until Tuesday, October 24th. You can also download an App providing you with all the schedule information and also with Online-tickets. 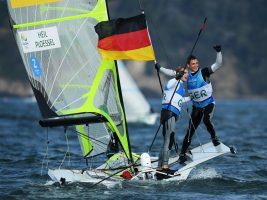 We are very pleased to announce that Thomas Plößel, bronze medalist in the 49er skiff at the 2016 Olympic Games in Rio de Janeiro together with his sailing partner Erik Heil, will take over the patronage for the 2017 Optimist Team Cup. Read the welcome address of Thomas for all participants of the 2017 Optimist Team Cup. on behalf of the Potsdamer Yacht Club (PYC) it is my great pleasure to invite you to the International Opti Team Race (OTC), which will take place at Lake Wannsee, Berlin, Germany from October 27th to 29th, 2017. We hope you will join us for this now 30th anniversary of the OTC. All important information’s and the registration form are available directly on this web site. Deadline for registration is October, 1st, 2017. However, please be aware that the number of participating teams is limited to 16. Therefore, we advise you to register as early as possible in order to ensure your team a starting slot. Team USA with Justin Callahan, Mitchell Callahan, Bella Casaretto, Joey Meagher and Connor Boland wins the 2016 Optimist Team Cup with an impressive performance in the round robin and a clear 2:0 Victory in the finals over Team Sweden, who already last year had to take the ungrateful position as runner-up to the team of Poland. Team USA showed a very strong performance already in the round robin, where each of the 16 teams sailed against each other team. With their strong mix of individual boat speed and sophisticated team tactics they managed not to loose a single race and logically qualified for the best of three finals, where they raced against Sweden, which had 12 wins in the round robin. 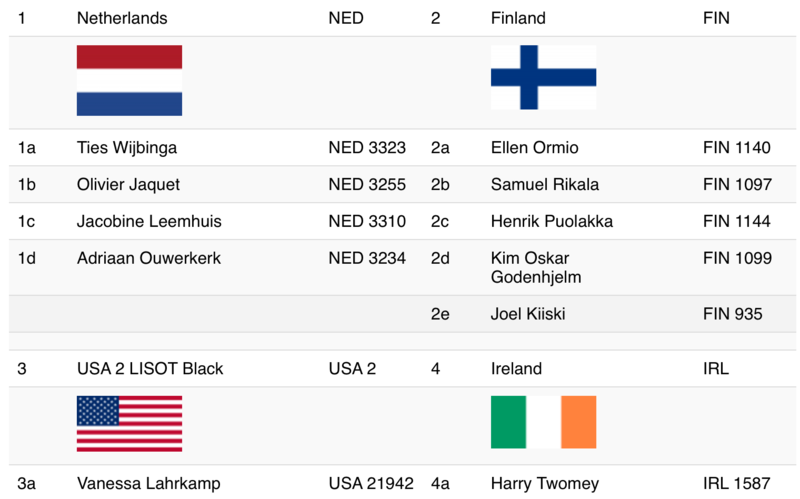 With two clear race wins the USA achieved an overwhelming victory with the last one for an USA optimist team at the OTC dating back 6 years already to 2010. 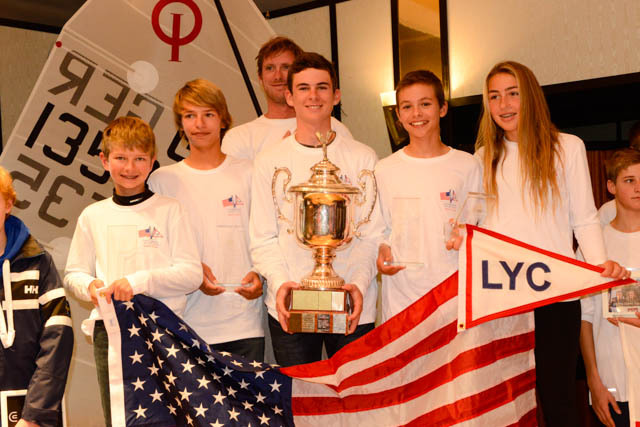 Team USA wins the finals of the 29th Optimist Team Cup with two straight race wins in the finals against the team of Sweden. The finals of the 29th Optimist Team Cup will start at about 1:00 pm. A spectator boat will be available from 12:30 am at the PYC harbour. The attention signal for the first race on Sunday, October 30th will be at 10:00 am. Please remember the end of daylight saving time in the night from Saturday to Sunday. Intermediate and sometimes also strong winds with gusts up to 25 knots permitted a quick succession of races during stages 1 and 2 on the first day of the 29th optimist team cup. Each team had to sail a total of 11 races with some teams changing courses after stage 1 (first 7 races). On this first day Team USA with Justin Callahan, Mitchell Callahan, Bella Casaretto, Joey Meagher and Justin Callahan showed the strongest team race qualities under these changing conditions and remained undefeated. They are followed by Team Sweden and Team Germany with 2 and 3 losses, respectively. The last 4 races of the round robin (stage 3) will show, which teams can qualify for the finals, which will start around 1 to 2 pm, provided the whether forecast will prove to be correct. The opening ceremony of the 2016 OTC will start on Saturday, October 29th between 8.30 and 9.00 am. The registration desk located in the upper floor of the PYC clubhouse will be opening at 1:30 pm. Be sure to have the individual disclaimers of the sailors available (otherwise fetch an empty form at the desk and fill it in). Marlies and Iris are waiting for you. Poland Russia Sweden Turkey USA. 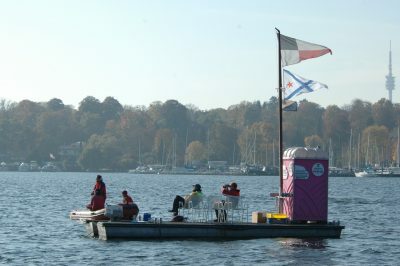 We are proud to welcome you all at Lake Wannsee at the end of October. A detailed entry list featuring all the participants will be published soon. 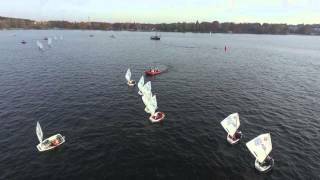 on behalf of the Potsdamer Yacht Club (PYC) it is my great pleasure to invite you to the 29th edition of the International Opti Team Race at Lake Wannsee, Berlin, Germany from October 29th to 30th, 2016. Go to the Registration site to enroll your team. You will find the Notice of Race under Race documents. All participating sailors will be hosted by families of the PYC from Friday to Sunday. The link published in the registration form will also show you a list of hotels for your convenience. Teams can only be nominated in agreement with the respective national authorities and are limited to one team per country. Deadline for registration is September, 30th, 2016. This video features the start and the final upwind of the round robin stage 3 race of the 2015 Optimist Team Cup between the teams of USA and Italy, which had a very close finish. The video was produced by Tobias Graf with the help of an unmanned aircraft vehicle. 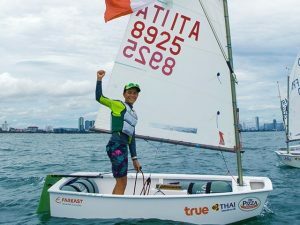 The Homepage of Tobias shows many processed videos featured in sailing events such us the 49er Junior World Championships in Flensburg, Germany. 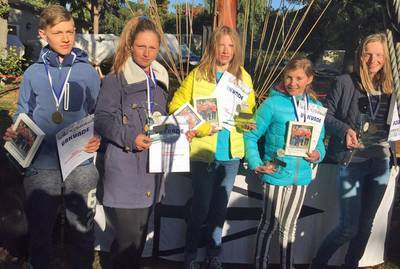 A video featuring the first final race of the 2015 Optimist Team Cup between the teams of Poland and Sweden in full-length and high resolution is now available either directly at the end of the post or in the Video menue. The video was produced by Tobias Graf with the help of an unmanned aircraft vehicle. Unfortunately the battery was low on the final upwind leg, so he does not have a close-up of the actual finishing situation. The Homepage of Tobias features shows many processed videos featured in sailing events such us the 49er Junior World Championships in Flensburg, Germany. Many thanks to Tobias for providing us with this great close-up and at the same time overview of the tactics and manoeuvres in Optimist Team Racing. He really did a fantastic job there. He will also process the video clips of the 2015 OTC to a final film, which will be made available within the next two weeks. So stay tuned. On behalf of the organising committee of the 2015 Optimist Team Cup I would like to thank all the participants, team leaders, visitors and guests attending the races for making this event a very special one. Thank you very much also for the fantastic feedback. We hope that you have enjoyed your time at Lake Wannsee and had a good and save trip home. We will see you around again next year! Our special thanks go all the helpers on the water such as race officers and staff, buoys leger, umpires, photographers and the people responsible for the toilet boat. And of course to those ashore in the race bureau and in the catering. Without you such an event would not be possible. So thank you very much!!! 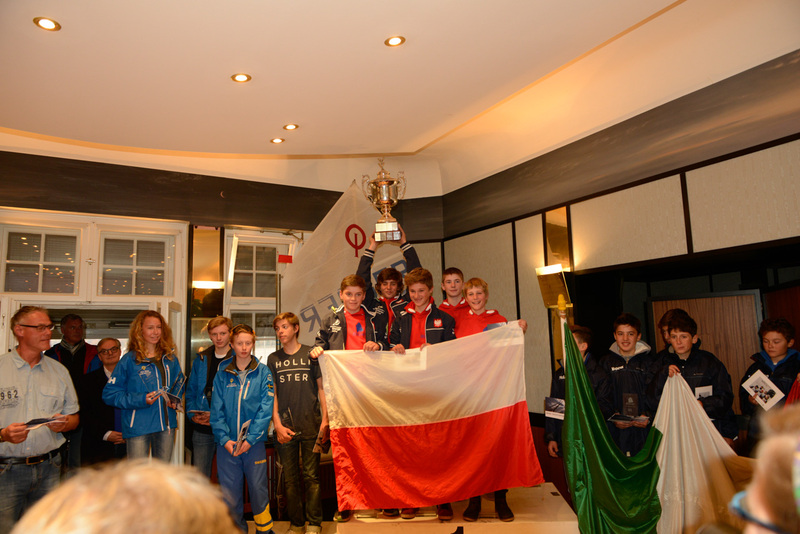 Team Poland 1 with, Jakub Gołębiowski, Mateusz Grzempa, Sławomir Kapałka, Patryk Kosmalski and Filip Szmit wins the 2015 Optimist Team Cup with a 2:0 Victory in the final over Team Sweden with Carl Hörfeldt, Oscar Engström, Alice Moss and Olle Aronson. Place 3 goes to Italy with a 2:1 victory against the team of USA in the small final. For more information of the way of team Poland to the final read here. The Leaderboard after the 15 Races of the Round Robin is now available under Leaderboard. All races of the round robin have been finished. The teams of Sweden and Poland 1 have qualified for the grand final to determine the winner of the OTC 2015. 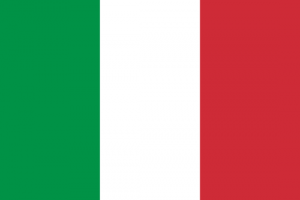 The teams of Italy and the USA will race for third place in the small final. Both finals will be best of three and start at about 1.00 pm. The results of flight 4 of stage 3 on course B are online under results. The results of flight 3 of stage 3 on course A are online under results. The results of flight 3 of stage 3 on course B are online under results. The results of the first two flights of stage 3 on course B are now online under results. The results of the first flight of stage 3 on course A are already online under results. Team Sweden with Carl Hörfeldt, Oscar Engström, Alice Moss and Olle Aronson leads the 2015 OTC after the first day with no loss in the 11 races of Round Robin stages 1 and 2 and with a two-win margin over second-placed teams of Italy and the USA is one of the hot candidates for the final tomorrow with 4 races left in the round robin. See the leaderboard here. On both race courses the complete 11 flights of the round robin stages 1 and 2 could be finished today. See all the results (individual racing scores, race matrix and the present leaderboard) under Results 2015. 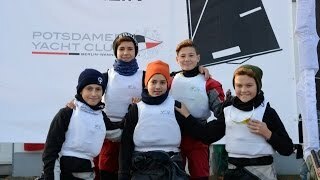 Some first videos are available featuring the round robin 1 race on course A between Sweden and Italy. More are to come. The videos can be found here. 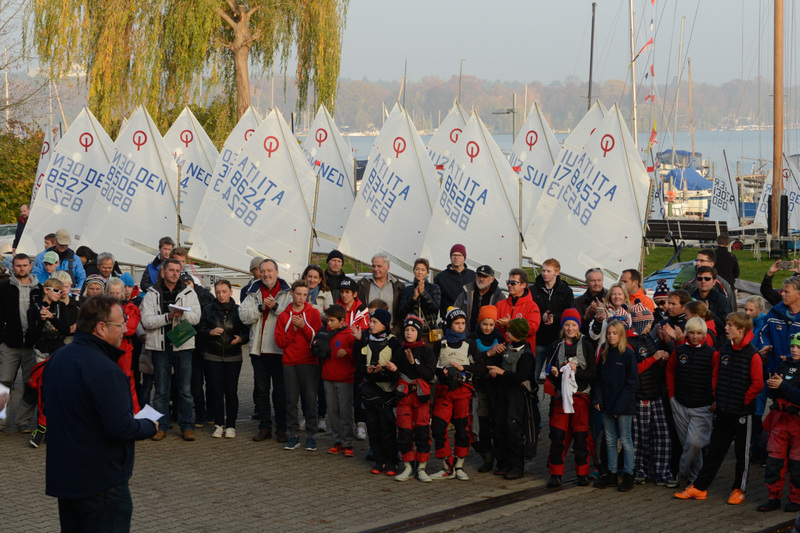 Pictures of the opening ceremony of the 2015 Optimist Team Cup are now available here. A first Leaderboard after the Stage 1 of the Round Robin sees the Teams of Sweden, Switzerland, Finland and the USA with 6 wins each in front. The first results (1st Flight) from Race Course A are online now. Important notice for all guests and visitors. At 12.00 am the visitor boat SY Botter will leave from the west pier of the PYC harbour to get you close to the regatta area. Nice sunshine out there and good wind so far. Everyone is welcome to get a close-up of the action. All the teams are on the water and the wind looks good. Races are about to start. Good luck to all the teams. The warning signal for the first start of the 2015 OTC is scheduled for 10.00 am. The weather forecast looks quite good, so we hope to get started on time. 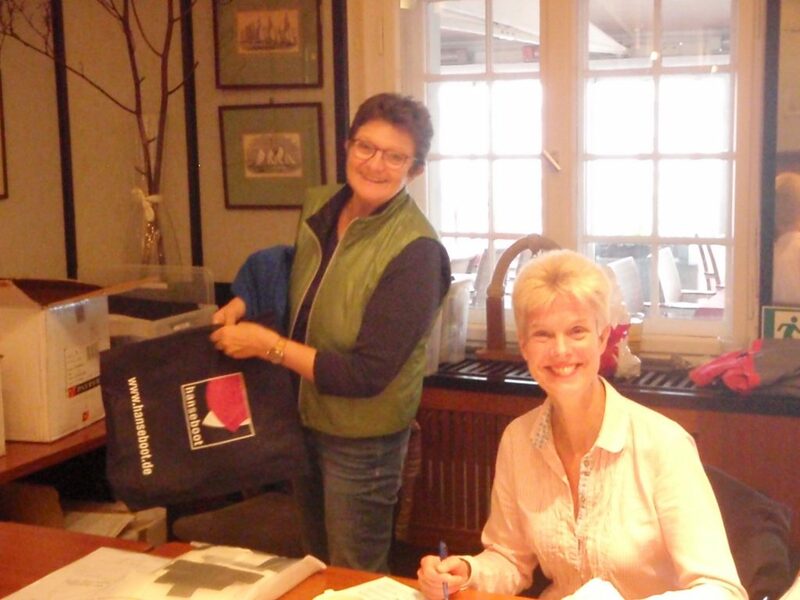 Final team registration will take place at the registration desk in the great hall located in the upper floor of the Potsdamer Yacht Club, Königsstr. 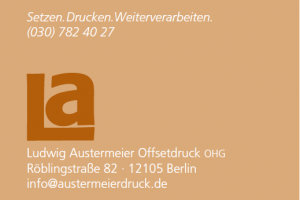 3A, 14109 Berlin on Friday, October 30th in the time between 3:00 and 5:00 pm. 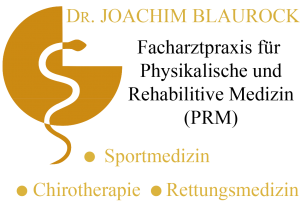 In case of late arrival at the venue please contact Thomas Läufer to make alternative arrangements. Please note that entry fees and deposits for charter boats can only be paid in cash. A cash machine can be reached by foot from the Potsdamer Yacht Club. On registration you will be provided with the pairing lists for the round robin and the competitor list in a water-proof form. Based on an official request from the German Optimist Dinghy Association (DODV), the Team 5 formerly denoted as Germany 2 /Bayern (GER 2) has been renamed to Bayern (BAY). This changes the respective starter lists and pairing lists by team names. 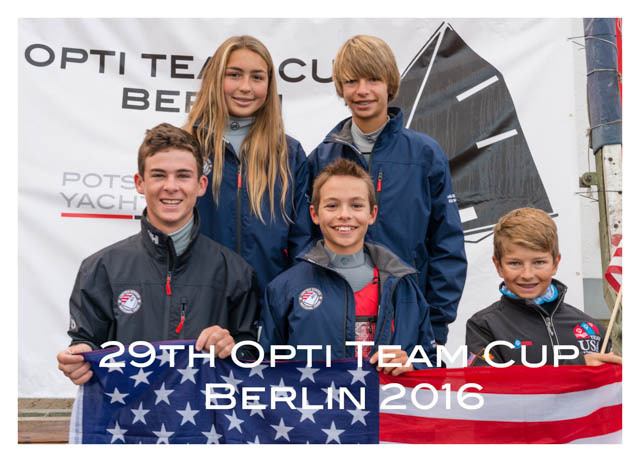 A selection of photos from the 2010 to 2014 editions of the Opti Team Cup has been added to the photo page. You can either click on the Photo site in the main menu or directly navigate to the respective year under the submenue Past Events. Our special thanks go to Hans Glave for providing us with all these high quality images. Please observe the copyright. The pairing lists for the round robin races on both race courses are now available under Results/Pairing List 2015 OTC and also as pdf-Files presenting either the individual team numbers or the team names. Two individualized waterproof pairing lists by team numbers, one by team names and the list of the participating teams/sailors will be available for each participating team at the registration desk on Friday, October 30th. The participants list for the 28th Optimist Team Cup (OTC) is now complete and available under Race Info. This years OTC hosts 16 teams from 13 different countries with two Polish teams and three teams from Germany. As last years winner Poland was eligible to enter a second team. 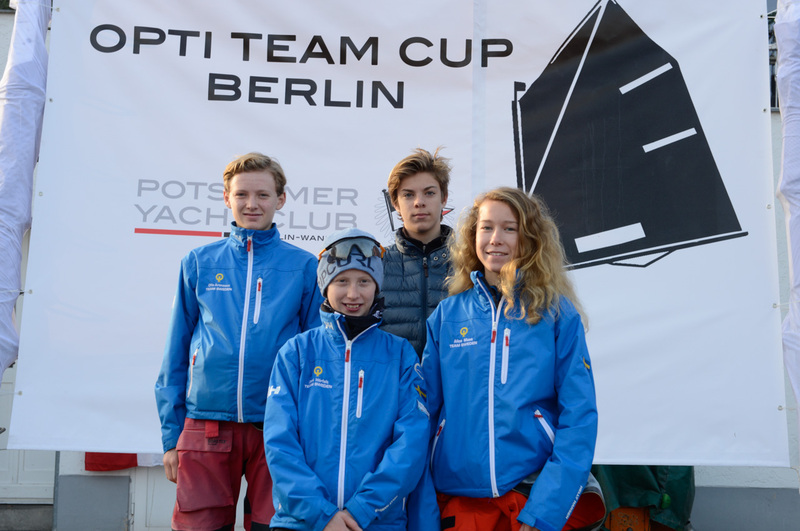 In addition to the Germany 1 team, which won the qualification at the 26th Joersfelder Opti Quartett, the Potsdamer Yacht Club was also eligible to enter its own team. 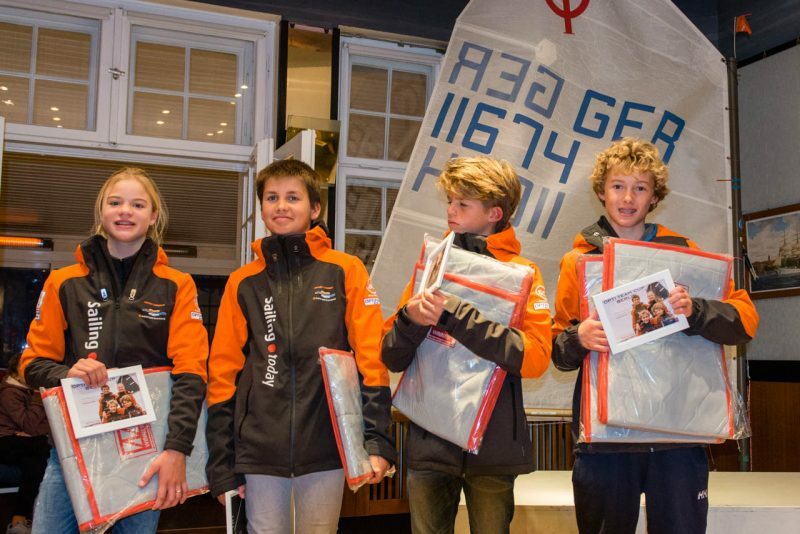 As only 15 teams had signed up until the end of last week, the last open slot was given to the runner-up at the Opti-Quartett, the sailors from the Bavarian state association. Finn Semmer, Anika Witt, Line Wolters, Gesa Papenthin and Kjell Semmer. Having won the finals of the 26th Joersfelder Opti Quartett in a very close decision, the team of the Berliner Yacht Club will represent Germany at the 28th Opti Team Cup hosted by the Potsdamer Yacht Club. An additional german team will be entered by the host.